First of, i was wondering how do i pronounce the NU’EST, i’ve learned french so this ‘EST thing totally reminds me of the french language. (so it’s nu-east, i think it should be like the french pronunciation: nu-‘s’ but who am i to choose). 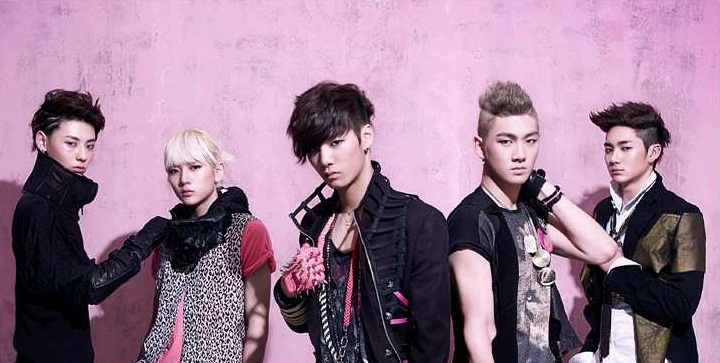 I first found out about Nu’est about a few days after their debut with ‘Face’. I can’t really remembered what i thought of the song at that time but i was a bit turned off by the MV (it seemed childish to me at that time – high school bullying? Come on.) and Ren’s gender problems. It’s funny how i like pretty boys but i have an issue with Ren. I mean, he is the most girl guy i have ever laid eyes on. Even Tae Min from Shinee can’t beat him. I guess it was too much for me at that time, i’m getting used to it. Anyway, in this “cut-throat” world of Kpop when rookies were debuting like no one’s business, i quickly got distracted by Exo-k (i’m ashamed for falling for SM tactics) and B.A.P soon after. They were kind of dismissed from my kpop world. Thankfully, i got to listen to their live on Music Bank (while waiting for B.A.P and Exo-k) and i realise that this boy band actually have talent because they sure as hell can sing. Lipsyncing is the worst thing for me. (i’m looking at you Exo-k) I’m quite surprised that they only have 3 tracks on their album where one isn’t even a whole song when most would jump at having 4 tracks. Well, this song spells out urban-electro clear enough. The music and the rap was nice but i have to say, you hardly hear the boys in this introduction, which makes me wonder the point of this intro song. The focus seems to be more on the music which i think was a bit too long when you are introducing the boys with the music not just the music. The song is in dubstep style that is supposedly what would allow them to stand out in the kpop music scene. Frankly speaking, if they were trying to do something different, i don’t this song really cut it out. Though if they said they just wanted a nice and catchy song, this does it for them. The last rap by Aron is really good (not just the rap but the rap lyrics), thank goodness for Aron’s english language abilities. The MV’s explicit portrayal of the theme for this song (issues teens face in society – bullying) isn’t to my taste. It was too literal for me. The choreography was just ok even if they did try to incorporate chairs, i think it didn’t work out for them especially when you look at their live performances. The dance break was… not really as “wow”. I mean, if you are going to do a dance break, it’s got to “Wow” people right? Anyway, the song grows on you, and their live singing was good for a rookie. This is their last song and a ballad song at that. One part of the choreography really stands out: the part where Ren leans against another member and they both slide to the floor sitting down. Nice one. The song isn’t that unique but nonetheless, it is a decent song. Hmm, as good as Nu’est are live, they have really really stiff rookies competition out there – mainly Exo-K and B.A.P (and this is only the boy groups). And if they really want to win the rookie award (which they said they did, obviously), they are going to have to step it up with their MVs, songs and most of all live performances. Now that there are so many (talented) rookie groups, i think live performances are one of the most important factor. You can have the best MV with the best choreography, but if you can’t deliver them live, it all boils down to nothing. The boys seem to have the potential, they just have to improve, and fast, if they want to beat out the rest of the competition. Do you think they have a chance at the rookie award this year with all those other talented rookie bands around?